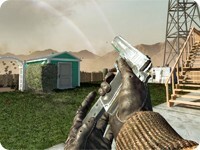 M1911 - Call of Duty: Black Ops Guide! 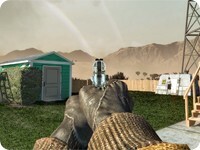 The M1911 is a selectable secondary weapon in Black Ops. 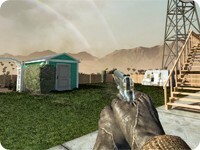 It is an unlocked pistol at level 1 along with the Makarov and ASP in the default classes. All three sidearms have the same damage and multipliers. What sets them apart is that the ASP has a higher max firecap, lower recoil and faster reload and swap time, while theMakarov has a slightly larger magazine capacity (albeit with a lower extended magazine capacity). This means the Makarov is superior, capacity-wise, to the M1911 if no attachments are used, or with any other attachment than extended mags. It takes 3 shots to kill an enemy at close range and 5 shots to kill an enemy at medium to long range. It also has moderate idle sway. Without attachements, the M1911 is inferior to all other handguns. The ASP has the same amount of ammo, but a faster firing rate, reload, and draw time. The Makarov and CZ75 have a higher capacity, and the Python has higher damage. However, the M1911 withExtended Magazines gives it more ammunition than all other starting pistols, though at later levels it should be replaced by CZ75, as when the latter is used with Extended Mags, it has a 18 round capacity, superior to any other pistol. Many players consider the M1911 the worst pistol, instead taking the Python or CZ75. This weapon is also used in the "One in the Chamber" Wager Match game mode as the only available weapon, along with the knife. The M1911 is also the default pistol for the "Second Chance" perk. Unless you have another pistol equipped on the class you will pull out the M1911 upon going into second chance.